Labov (left) and Chomsky (right). 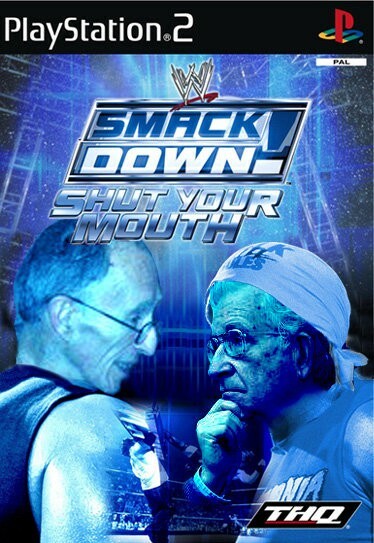 If they were to engage in an intellectual fist-fight, who would emerge victorious? Two giants in modern linguistics: Noam Chomsky and William Labov. Yet so little in common between them. Chomsky is the father of modern generative grammar who has published masterpiece after masterpiece about the mechanisms of human grammar and its biological/genetic implications. He has drawn a fine yet important distinction between competence and performance, the former of which accounts for the internal and innate mechanisms of human languages while the latter the actual use of language in real-life situations, and Chomsky has worked exclusively on the former, relegating the latter to contingent forces which affect human speech. Labov, on the other hand, has done decades of research on the social implications of human language and how human language is shaped by different social settings. The two approaches are clearly very different, but not necessarily mutually exclusive. In this post, I endeavour to provide examples from Chinese dialectology which illustrate the mutual non-exclusiveness of Chomskian formal syntactic analysis and sociolinguistics, which was also the topic and conclusion in my latest presentation at the White Rose sponsored project Historical and Contemporary Knowledgebase in Sociolinguistics (HaCKS). First of all, applied linguistics in the form of language teaching. As a language teacher, I have taught various languages to people from all around the world: Mandarin Chinese, Cantonese Chinese, Spanish, English, Portuguese etc. As a native Cantonese speaker from Hong Kong, I have been astonished by how much interest there is in the Western world for Cantonese Chinese, as it is a regional dialect with a relatively low number of speakers (and hence of somewhat limited use especially when compared to the official language of China: Mandarin). I have taught Cantonese to a variety of students, who can be roughly divided into two groups: Chinese and non-Chinese. There are numerous Chinese speakers who want to learn Cantonese, as it is kind of fun to learn another closely related dialect and expand one’s knowledge of one’s native language. I am currently in the process of learning Shanghainese myself, a very prominent Wu dialect, and it is proving to be very interesting indeed as I feel that I am learning a different version of my mother tongue- still my mother tongue, and I certainly feel a strong affinity with it, but with many differences as well. As these two groups of students have completely different linguistic and cultural background, I have devised two ways of teaching Cantonese to Western and Chinese students respectively: 1) grammar i.e. rules, which is the standard way of learning and teaching foreign languages, and I have used this with my Western students where I teach them verbs, nouns, adjectives and all the boring technical stuff that we all had to go through at school 2) dialectal comparisons, which is VERY effective with Chinese students. Traditional and modern work on comparative Chinese linguistics has revealed a lot of similarities and differences between Chinese dialects (see Thurgood and La Polla (2003) The Sino-Tibetan Languages for an excellent illustration), and the notion of proto-Sinitic is still very strong in that it is still widely accepted that all Chinese dialects descend from a common proto-language and all Chinese communities nowadays maintain a diglossic configuration where the official dialect (Mandarin) and the local regional dialect alternate according to societal norms. Not only do scholars posit a proto-language for all Chinese dialects, they also reconstruct a pan-Sinitic grammar which applies to all Chinese dialects (e.g. word order: S(ubject) Adverb V(erb) O(bject), co-verbs, D(emonstrative) Cl(assifier) N(oun) etc) (again, see the various chapters in Thurgood and La Polla (2003)). Furthermore, dialectal variations in China are modelled on microparameters, which account for the dialectal microvariations between individual dialects across the Sinosphere. Whenever I teach Chinese speakers Cantonese, therefore, I do not start from the basic rudiments of Cantonese grammar, as there is no need for them to know the nitty-gritty of Cantonese (or Mandarin) grammar. Rather, I assume their Mandarin Chinese background and go straight to the comparative dialectal features which separate Mandarin and Cantonese. It must be said that I have never taught Cantonese to a Chinese speaker whose native dialect is closer to Cantonese than to Mandarin or whose native dialect I personally speak myself, but if I were to teach a speaker whose native dialect is even closer to Cantonese than Mandarin (e.g. Min, Hakka, all southern dialects of which Cantonese forms a part), this dialectal comparative method would be even more effective. Chinese dialectology really is fascinating. By ‘fascinating’, I do not mean that the dialectal situation in China is unique. I actually believe that it shares many similarities with other similarly dialectally dense countries: Italy, Germany, Arabic-speaking countries etc. Ferguson’s seminal paper ‘Diglossia’ (1959) outlines some key devices for analyzing societal bilingualism, namely the allocation of linguistic varieties to specific activities in society, and Fasold (1984) ‘The Sociolinguistics of Society’ proposes many different types of societal bilingualism, all of which are modelled on the assumption that different registers of the same language can be allocated to different societal activities which are ranked on a scale of formality where ‘formal’ activities usually require an official, literary, ‘high’ register while ‘informal’ activities can be conducted in an unofficial, regional, ‘low’ register. Such configurations can definitely be argued for modern China where Mandarin is not only taught in schools but also used in newspapers, newsfeed, formal documents etc, while regional dialects are used in almost every other walks of life especially in domestic, intimate and social settings. In Hong Kong, we learn literary, classical Chinese (aka Mandarin) at school, while at home we regularly (if not obligatorily) speak Cantonese with our family and friends. Such robust diglossic evidence makes the present author uncomfortable in accepting the notion that the numerous linguistic varieties in China should be termed ‘languages’ rather than ‘dialects’ (more about the language/dialect in my post in Asia Times Online). ‘I have to practise for two more hours’. The microvariations in Chinese dialects, therefore, seem to be very systematic and microparametric. It would be hugely productive, in my view, for teachers and researchers of Chinese (dialects) to compile more such observations, which would no doubt facilitate our understanding and learning of Chinese (dialects). Furthermore, any such research would constitute evidence for the possibility of bridging the gap between formal syntax (all the rules posited above) and sociolinguistics (the society in question and its diglossic configuration/distribution of dialects). Identical meaning, yet not the same construction. Again, the parallels are strong and easily recognisable, though the differences between this and the other piece of utterance deserve comment. The main morphosyntactic correspondences here are: ng goi 唔該 (Cantonese) ~ qing 请 ‘please’ (Mandarin), bei 俾 (Cantonese) ~ rang 让 ‘let’ (Mandarin), lok 落 (Cantonese) ~ xia 下 ‘down’ (Mandarin), VP + sin 先 (Cantonese) ~ xian 先 + VP ‘first’ (Mandarin), as explained above. These grammatical points of correspondence are very interesting, especially the adverbial placement of 先, which has already been explained above, but I would also like to highlight the swift and almost automatic reflexes in the announcer’s linguistic patterns of behaviour, the fact that he was capable of code-switching between formal Cantonese (based on Mandarin grammar, the prestige literary variety in HK and most of China) and colloquial Cantonese just like that. His linguistic reflexes also allowed him to adapt to the small and subtle changes in his environment, the fact that he was employing literary Chinese (aka Mandarin) in making a public announcement but colloquial Cantonese when addressing the passengers personally. Admittedly, the difference in meaning between these two variants is tiny and can probably be disambiguated by the context anyway, as was the case in my friend’s home where we knew exactly what we intended, though it is interesting how Mandarin can capture subtle nuances that Cantonese cannot due to the differences in syntactic scope of 先. Such linguistic behaviour further attests to the sociolinguistic sensitivity and significance in a diglossic society such as HK and the amount of sophistication that can be found in our code-switching. The dichotomy between formal syntax and sociolinguistics is thereby false, since there seems to be mutual conditioning between the two, as seen in the use of Mandarin/Cantonese in HK, which is an important reconciliation between the two pillars of modern linguistics (Chomskyan/Labovian). Originally published at keithtselinguist.wordpress.com in the following posts: https://keithtselinguist.wordpress.com/2015/03/30/grammar-and-linguistics-thoughts-from-a-linguistics-researcher-and-language-teacher; https://keithtselinguist.wordpress.com/2015/03/31/grammar-and-linguistics-thoughts-from-a-linguistic-researcher-and-language-teacher-2; https://keithtselinguist.wordpress.com/2015/04/01/grammar-and-linguistics-thoughts-from-a-linguistics-researcher-and-language-teacher-3; https://keithtselinguist.wordpress.com/2015/04/05/chinese-adverb-%E5%85%88-before-an-anecdote-on-its-positioning-in-chinese-dialects. #Linguist, #DataScientist, #Journalist, #Balliol College/#Oxford, #Manchester, #York, #RoninScholar. Please get in touch (https://keithtselinguist.com)!